This weeks top hair upload is the stunning Vanessa Hudgens! Another celeb thats gone for the chop and rocks it. This is the look that everyone is asking for at the moment. It’s ‘beachy’, textured, effortless and it looks great on all lengths of hair. Its easy enough for all of us to re create at home, so you wont be needing Vanessa’s personal stylist! Begin with the volume shampoo and conditioner to give your hair maximum lift and that initial texture. Blow dry your hair smooth but keep your hair moving in different directions as your blowdrying to again create volume and texture. Then go in with the straighteners. We recommend using straighteners rather than a wand for this look as you want the waves loose and textured as opposed to tight ringlet curls. 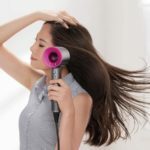 In order to create the waves, clamp the hair into the straighteners and run the straighteners down your hair, slowly twisting the straighteners back away from your face at the same time. If this makes no sense to you what so ever, here is a video we made that will show you exactly how its done. Once you have created the waves, brush them out if need be. Then go in with your sea salt spray and spray a generous amount, scrunching your waves as you go all the way around your head. This will give them that ‘beachy’ texture and break them up slightly. Lastly if you feel it necessary, go in with some styling wax or paste and just use a small amount to define individual waves around your face. And there you have it! You will then have the hair of a stunning beach babe!